Today marks the day where I have had my last counselling session, and it's fair to say that it was beyond successful. So for today's post, I wanted to share with you what my counselling experiences have been like, from the age of 17 until now, the age of 20. I see a few of these types of posts floating around and they always interest me, especially the method of counselling which is done. I like learning about new techniques for mindfulness, as well as coping mechanisms in case I can manipulate them into my own life and lifestyle. I'm going to go through my each experience of counselling and tell you a bit about what happened with each one. Note: No names will be revealed in this post for confidentiality reasons, although I will disclose gender, as that has a part to play in the experiences. If you've read my blog before, you'll know that I suffer from anxiety and when I was in high school, it was really and truly awful. Going to lessons was hard, even trying to go to school was hard. I found my focus levels in lessons where my bullies were there to be non-existent. I decided to receive counselling first off at the age of 17, with a counsellor in school whilst I was in my first year of sixth form. I thought at the time that it may not do much because I thought my issues were so large that nothing could solve them. Glass half empty concept, huh? Seeing a counsellor actually made me anxious, because I didn't know what to expect. Sure, I had seen TV episodes and stuff of things like it, but real life doesn't really reflect things we see in the media. I tried to make it really secretive that I was going to counselling, as I didn't want to be bullied for yet another thing. I wanted to be okay, I wanted to have nothing 'wrong' with me. I didn't really have a positive experience with this counsellor, as I feel like the methods she used were helpful for me, and kind of patronised me slightly. Every session would begin with two laminated sheets with things stuck onto them with velcro. One would contain words/feelings, the other had emojis stuck to it. I can see why this would be helpful, especially if a younger pupil were to use these since it's a good indicator of telling feelings if they're too nervous to vocally say them. However, I was 17, coming close to 18 at this time. Ironically, I had a session on my actual 18th birthday, so it was strange to go from being 17 to a legal adult. I remember at one point that I was feeling depressed and I had a panic attack during the session, resulting in my doctor being contacted as well as my mum so she could collect me and take me to the doctors. It was emotional to say the least, but after that counselling experience, I still felt crappy and just useless. I'm not saying the counsellor themselves were awful, their methods of counselling just weren't right for me - and that's okay to admit! Originally, I was going to seek counselling in my first year of uni, so would have been ages 18-19 (potentially), but due to being anxious about seeing a counsellor yet again, I put it off. I really could've done with the help from a counsellor then, since my anxiety was sky high. This was due to moving away from home, adjusting to a life I had never experienced before, and being given so much independence than I knew what to do with. It was a rollercoaster, and it was a horrible one. This is another story for another time though, if you're interested - let me know! Moving onto this experience. Now, I finally got to see this counselling service, even though they had stopped taking applications for the service since they had an overwhelming amount of applications. I genuinely thought I had no hope until I contacted them with a e-mail, and in all honesty, I thought I was going to get a reply saying "We're sorry, but blah blah blah" which would've made me feel like a bit of a fish out of water. However, I was graced with an e-mail with an application form attached to it and I felt content. I hastily filled it out and returned it, as I wanted to ensure I got help ASAP. When I saw this counsellor, it was mainly for anxiety, although we touched upon depression and potentially PTSD. 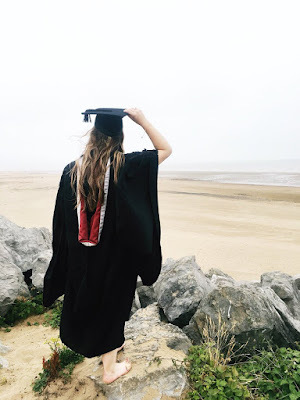 At the time, I was dealing with anxiety for being late to lectures, going out on student nights, presentations, having too much attention on me... The list went on and on. I genuinely thought I could be anxiety about my own bloody shadow at that point, I had a list as long as my arm. We worked through things one by one, although mid-way through the sessions, I was asked if I'd like to refer to another counselling provider. I didn't want to say yes, because I'd of felt bad and worry if I'd hurt the counsellors feelings, but without thinking I piped up with a "Yes". She wasn't upset or anything, but explained that CBT may not be for me, so perhaps trying another service may help. After the second experience of counselling not really going well, or being very effective, I had a mixture of feelings for this experience. 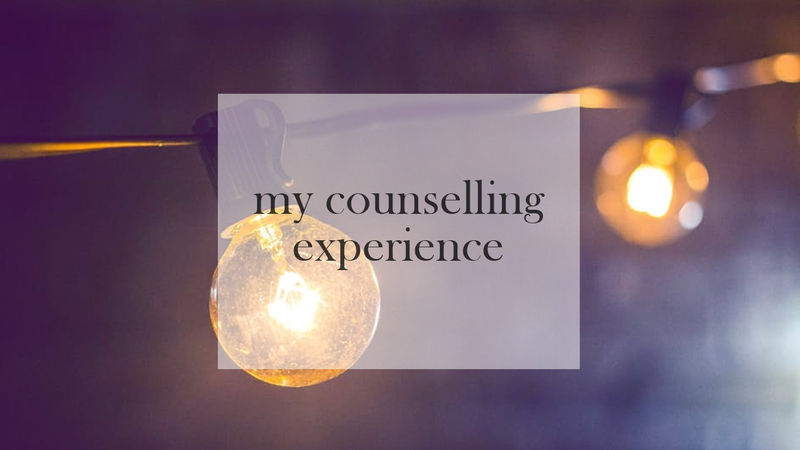 I was paranoid that I'd have to see a large string of counsellors to realise that I have way too many issues to solve, I was worried that counselling overall wasn't going to work since the last two experiences didn't. I felt a bit hopeless, if I can be honest. However, I was definitely taken by surprise. When arriving for my first session, I was anxious and worried. My boyfriend came with me and waited outside for me, which was lovely and made me feel more calm (even though he probably would've preferred to be at home). As soon as the door opened for the building, I was greeted with a man who asked my name and he said that he was going to be my counsellor. In my head, I was like *hits panic alarm* "How am I going to be able to talk to a man about all my issues?!". Well, ladies, gents and everything in between... I actually managed to talk to him about EVERYTHING. The anxiety, depression, my parent's divorce, uni drama, stress, even what happened to me when I was younger. I'd never managed to tell anyone outside my friends and family about what happened to me when I was younger, and I didn't think I'd be able to - let alone tell a man or something I'd just met about it. It was so nice to have a counsellor who listened to me, as opposed to writing things down and nodding. (Also, props to him as he literally has such a good memory!) He treated me like a person, and didn't make me feel inferior or patronised. I was asked questions which weren't too perplexing, and also triggered a lot of different thought, for example: He'd ask me "What if you tried to celebrate your achievements more? ", or "What if you praised yourself more? ", and it really got me thinking. Yeah, why don't I praise myself more? Why don't I celebrate my achievements, even if they're small? Little achievements can build up into something more great and wonderful. I felt like a normal person when I was at these sessions, I didn't feel as though what I was feeling was wrong. This counsellor would sit across from me and would let me talk for an hour, with minimal questions, and sometimes he would give me advice for things I could potentially try (like a self-care routine/checklist for example). There were laughs and tears during these sessions, and the ever so popular "I want to be okay" comment I say to myself sometimes, but after the last session today, I actually was tearing up as I walked away. I was so happy with myself, with how things went, how I've progressed - so happy in general! The sessions that I had from experience 3 have definitely been the best, and also the most beneficial to me, and I'd like to thank that counsellor, as well as the others for the efforts they put in to try and help me and most of all, for listening to me. So, how do I feel now? After all this, I feel great in all honesty. I know there will be times when I'll feel down, or anxious/panicked, but it's not going to be like that forever. As a 20 year old, I want to enjoy life everyday as it comes, no matter if the weather is miserable, I've got lectures all day, I have a bad grade in an assignment. Just because negative things happen, doesn't mean it'll be permanent. I feel so proud of myself for actually completely a counselling experience without finishing early. This will probably sound cheesy, but I feel like one of those superheroes who can literally do anything and are so fearless. I really like this feeling, and it does feel strange to be feeling okay, after a long trough of feeling like crap, then just average. I haven't stopped smiling since the session ended, and that was nearly 2 hours ago. I want to go through life and celebrate the good things and be on the more brighter side of life, rather than being in the middle and edging to the negative side of life. Don't think, do (as a lovely quote from How I Met Your Mother). Have you experience counselling before? Did it work, did it not? Have you found something in this post which is useful? Leave a comment down below, and let's have a discussion. Disclaimer: Header image is not mine, it's a free stock photo! This is so interesting to read Chloe! First of all, well done for finishing your counselling session today! It's so lovely to hear how much better you're feeling and that you have a positive attitude looking forward. I had counselling throughout uni and it did help so so much. I think counselling is a really positive tool because you're able to talk to someone that won't judge you etc.. I've had moments about having counselling again whilst being at work but i haven't had enough courage to do it, and sometimes i can get through it myself. Thank-you so much for this comment, Abi! I'm so glad that counselling helped you too, it's honestly like a miracle sometimes! I'll make sure I keep this feeling in my mind for the future. It sounds like your third experience ticked all of the boxes for you! It really did, so I guess the term "third time lucky" is true sometimes! Thank-you so much, Cora - that's really lovely to read! I was really nervous and anxious to go, but after a year of putting it off, I knew that if I went, it could actually benefit me a lot - which it has! 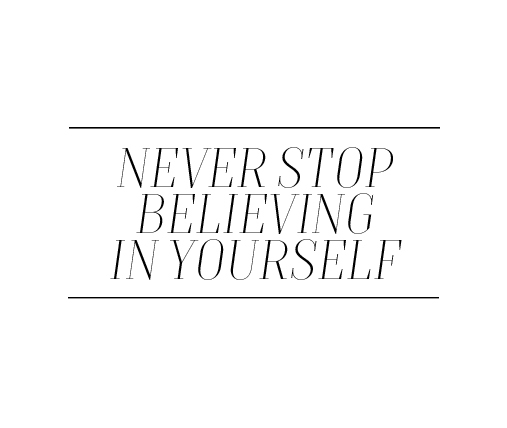 I hope that you get the help you need and deserve, and that you feel better and more happier! Thank you for sharing, Chloe. Many people are scared to seek counseling, because of the uncertainty of it all, but when you actually find a counselor fit for you, it's the best. I had counseling sessions a couple of years ago. It was something I sought out myself, and I took the time to research counselors for my needs. I found an amazing woman who made me feel more at ease with myself, and I know she helped me get through the last couple of years. It was risky, but it was worth it. I agree with you, the worried thoughts can be really scary! Especially if someone thinks it may not work for them. I'm so glad you found help, and that it's helped! Thanks for commenting and reading, lovely! !